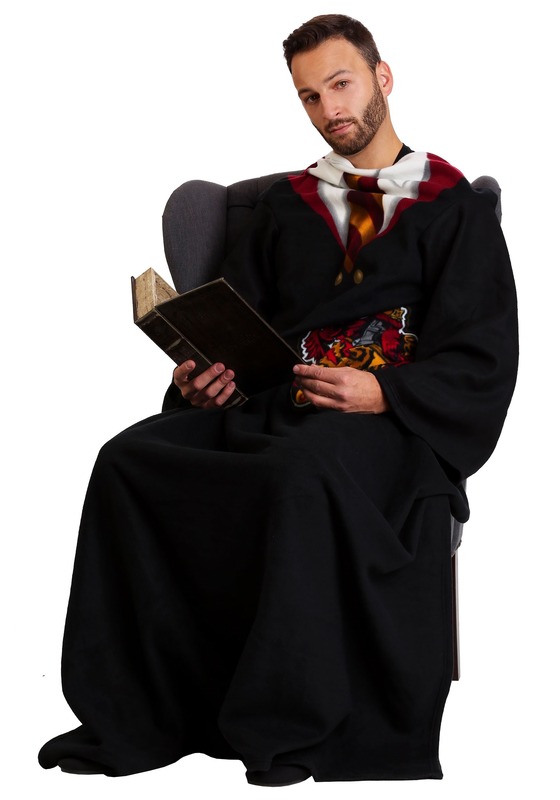 Keeping warm isn't the only thing you can do while wearing this Harry Potter Gryffindor robe. You could sip on a nice cup of tea while you read a charming tale of a boy wizard who defeats an evil sorcerer, or you could try mixing some of your own potions in the kitchen. Us? We like to practice our Patronus Charm while wearing it. We were pretty surprised to find out that our Patronus animal was a Velociraptor riding a woolly mammoth. We can only imagine what kind of Patronus Charm you'll summon when you wear this robe and start waving your wand around. 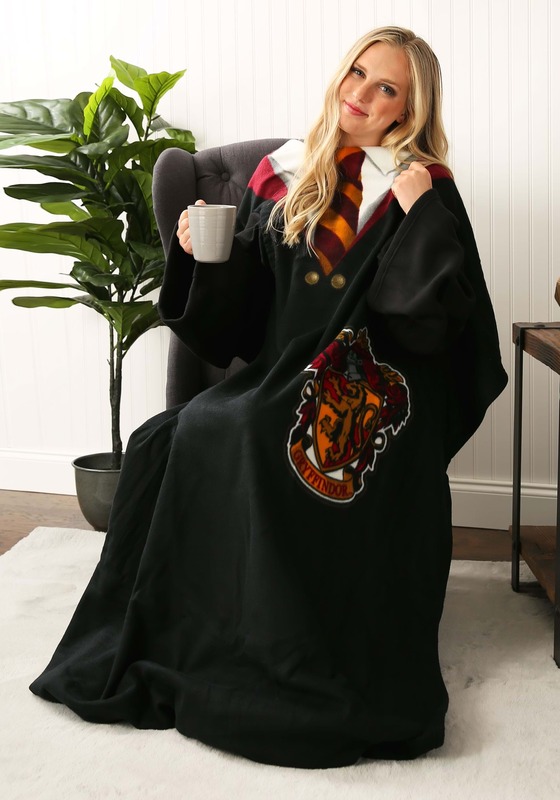 Practice Harry Potter downtime in style when you're wearing this officially licensed Harry Potter Robe Adult Comfy Throw around the home! This large fleece blanket robe is made of soft fleece fabric and features signature Comfy Throw sleeves. It measures a generous 48 by 71 inches, and it can be worn to keep you warm and comfy while still looking professional and studious since it features the Hogwarts tie and emblem of Gryffindor on the front breast. So, go on, wrap this throw around your shoulder and then grab your wand. Let's see what happens when comfort and magic work together!